If you’re wondering where Alzheimer’s research might be headed after the latest large-scale failure of a clinical trial based on the “amyloid hypothesis,” check this out. Plaques. Tangles. Clumps. These are all pathological signs of neurodegenerative diseases that scientists can see under the microscope. But they don’t explain most of the broader trends of cognitive resilience or decline in aging individuals. What’s missing? 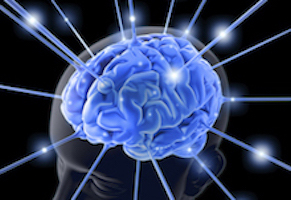 A recent proteomics analysis in Nature Communications from Emory researchers identifies key proteins connected with cognitive trajectory – meaning the rate at which someone starts to decline and develop mild cognitive impairment or dementia. This paper fits in with the multi-year push for “unbiased” Alzheimer’s/aging research at Emory. The lead and senior authors are Aliza and Thomas Wingo, with proteomics from biochemist Nick Seyfried and company. 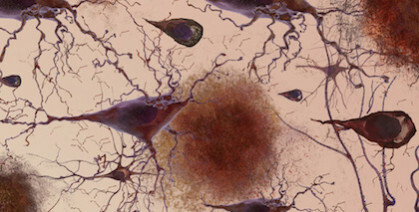 The proteins the Emory team spotlights are not the usual suspects that scientists have been grinding on for years in the Alzheimer’s field, such as beta-amyloid and tau. They’re proteins connected with cellular energy factories (mitochondria) or with synapses, the connections between brain cells.